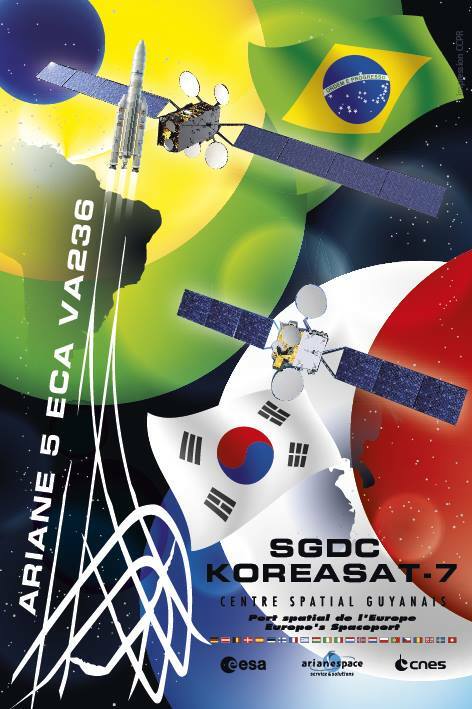 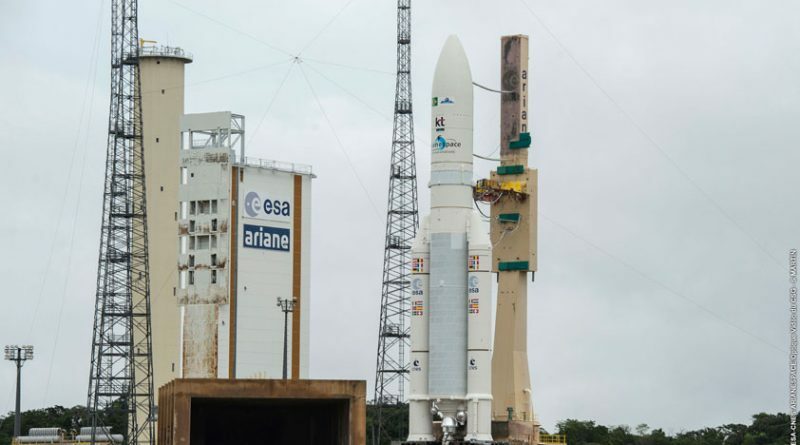 Europe’s Ariane 5 rocket thundered into the afternoon skies over the Guiana Space Center on Thursday, embarking on a heavy-lift mission to haul a pair of communications satellites into orbit for Brazil and South Korea. 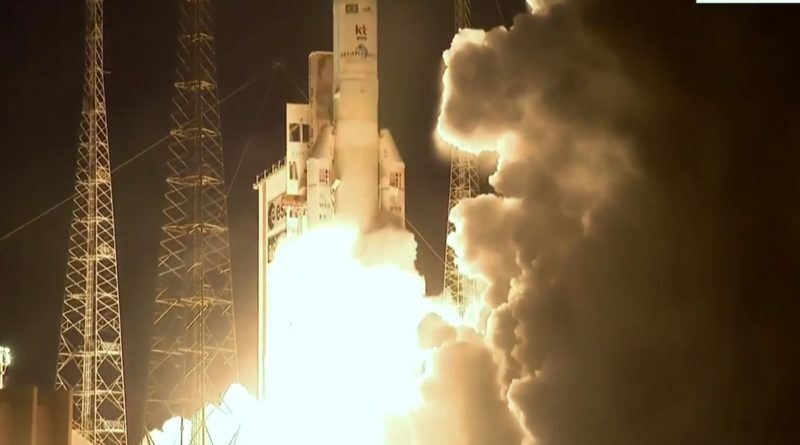 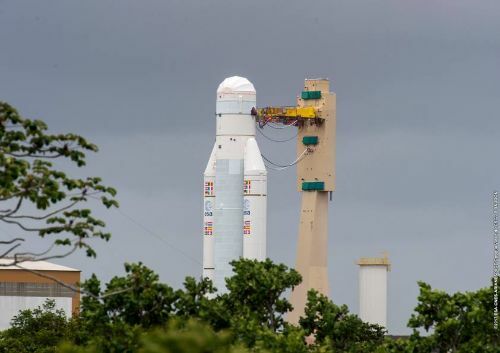 Europe’s Ariane 5 rocket rolled out to its French Guiana launch pad on Wednesday for a long-delayed dual-satellite delivery that was held up for over a month by a general strike in the small French department that caused operations at the space base to grind to a complete halt. 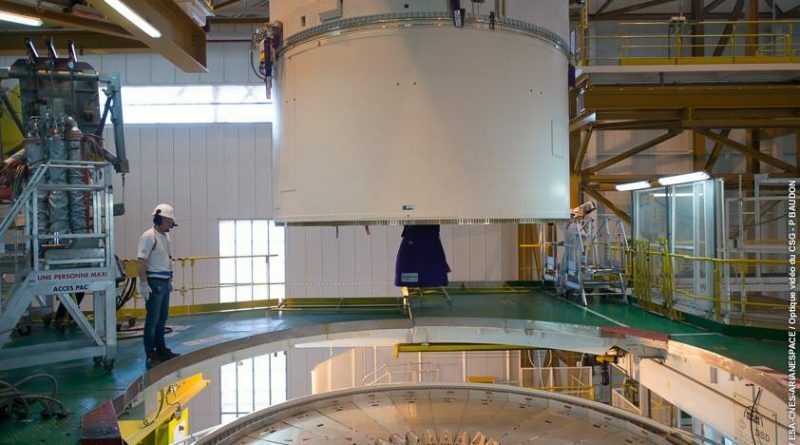 An Ariane 5 launch vehicle takes shape for its second mission in 2017 that will see the heavy-lift rocket lift a pair of communications satellites built by Thales Alenia Space for operators in Brazil and South Korea. 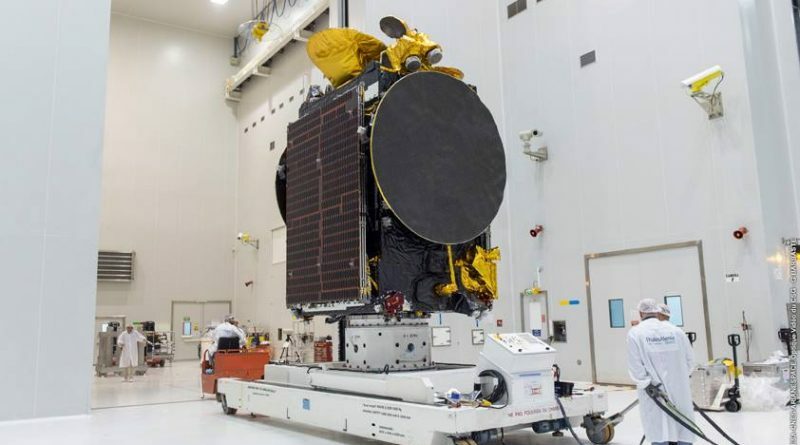 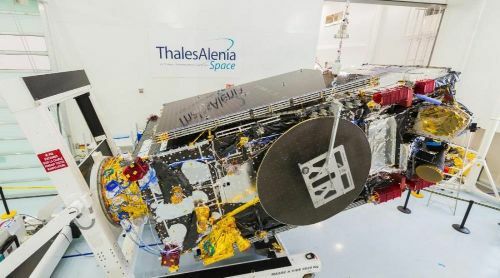 A pair of Thales Alenia-built communications satellites go through final processing operations at the Guiana Space Center before taking their spots atop an Ariane 5 rocket in readiness for a high-speed orbital delivery.